Product categories of Food Blenders, we are specialized manufacturers from China, Food Blenders, Electric Food Blenders suppliers/factory, wholesale high-quality products of Smoothies Maker Blender R & D and manufacturing, we have the perfect after-sales service and technical support. Look forward to your cooperation! Food Blenders are small machines that can stir a variety of food, like fruits and vegetables to extract fresh and delicious fruit and vegetable juice. 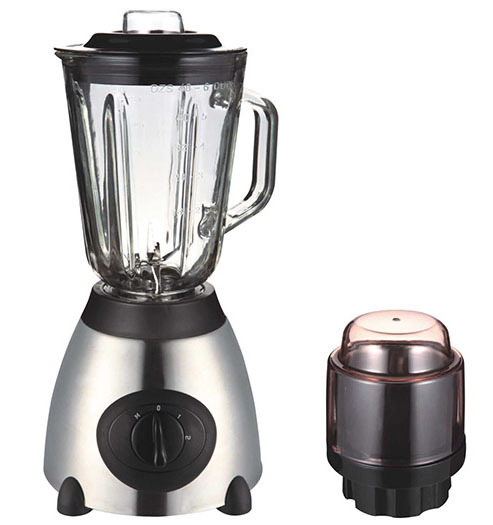 Food Blenders including Plastic Jar Blenders, glass jar belnders, Stainless Steel Jar Blenders, rotary switch blenders and push button blenders. Food Blenders work by rotating the blade at the bottom of the jar at a high speed to break the food repeatedly under the action of water flow. Due to its ability to process a variety of foods, neat and tidy, small in size, light in weight, low in noise, high in efficiency, simple in operation, easy to clean, food blenders are popular among families.